The ingredients are part of the common inventory from everyone’s household pantry. Onion, chilies, dark soya sauce, sugar, salt and calamansi limes are all that it takes to create something so moreish for one to crave for more! I like my sunnyside ups with crispy sides on the whites while the yolks remain really runny. This is very old school kinda way of eating eggs for me, something which my mom would make so often that we often took it for granted with “eggs again? !” kinda remarks, but ironically, the kind of food that invokes the deepest sense of nostalgia as we age. It takes a bit of practice to get there but shouldn’t be difficult. 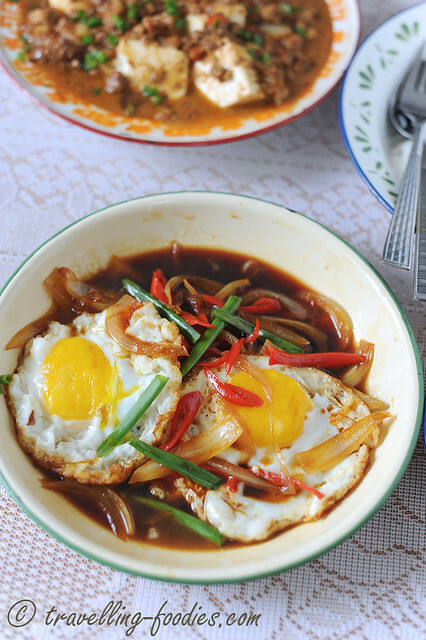 Use the freshest eggs possible for the yolks to stay perky and intact during the pan-frying process. 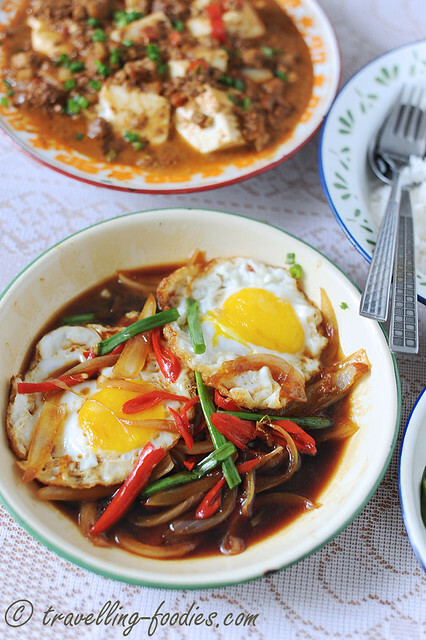 Trust me, keep the yolks runny for instant gratification! To a heated wok, add cooking oil and pan fry the eggs individually until the white crisps up along the edges. Dish and set aside. To the same wok, add sliced onions and saute under medium heat until onion slices turn soft and translucent. Continue to slowly stir fry for another 2-3 min until they brown slightly. Add hot water and bring everything to a boil before lowering flame to simmer for 1 min or so with lid covered. Taste and adjust with more salt, sugar or calamansi juice if necessary. 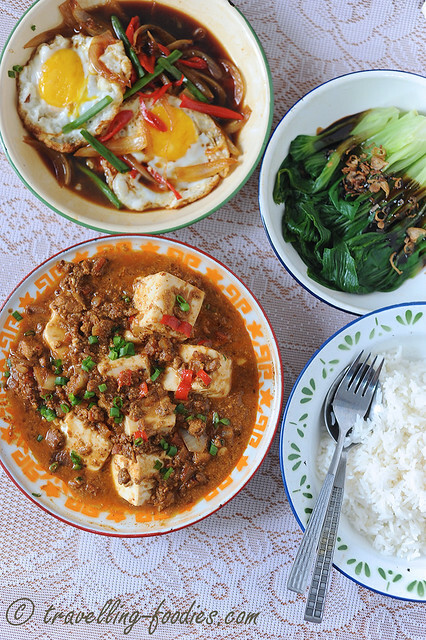 Serve with steamed white rice and other dishes. This entry was posted on April 2, 2015 by Alan (travellingfoodies). 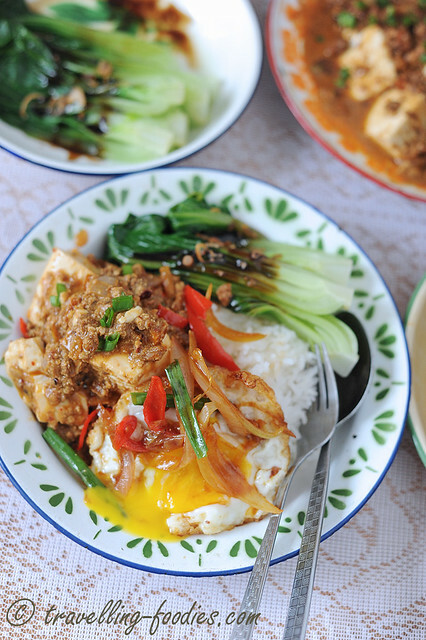 It was filed under Food, Simple Eats and was tagged with Nonya, nyonya baba, onion, Peranakan, red chili, salt, soya sauce, straits chinese, sugar, telor tempra, 土生华人, 娘惹.